Before this year's rally, we thought we'd have a rake in the archives and show you some earlier pics from this rally. 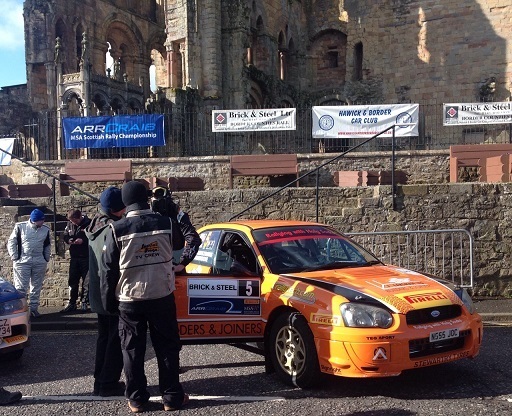 Of all the rally venues, Jedburgh in the Scottish Borders must be the most appropriate for Holy Socks. The Brick and Steel Border Counties starts and finishes right beside the ruins of Jedburgh Abbey and over the years we've had bright sunshine, rain, snow and bitter cold to contend with.